"I am extremely happy that I had Shawna as my mortgage broker. She is friendly, honest, very knowledgeable, and helpful. She worked very hard for us. This was my first time buying a house and she took the time to explain everything thoroughly to me. She took good care of us and gave us helpful advice. She helped me feel confident about the decisions that I was making. Her and her team were very professional and quick to respond to any questions or concerns that I had. 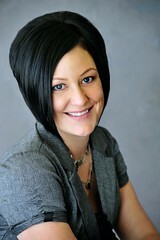 I would highly recommend Shawna to anyone looking for a mortgage broker." Click here to read the article featuring Shawna MacDonald as #26 with CMP Top 75 Brokers. "Shawna was recommended to me while going through a separation. She has great compassion, is very knowledgeable, worked hard at finding the best possible rate and always kept me informed. She made the experience as stress free as possible. I have already recommended Shawna to family and friends and will continue to do so in the future." "I would definitely recommend Shawna. She is personable, knowledgeable, and made the entire process very simple." "OTTAWA, ONTARIO--(Marketwired - April 2, 2015) - As a result of its annual review of its insurance products and capital requirements, CMHC is increasing its homeowner mortgage loan insurance premiums for homebuyers with less than a 10% down payment. Effective June 1, 2015, the mortgage loan insurance premiums for homebuyers with less than a 10% down payment will increase by approximately 15%. Premiums for homebuyers with a down payment of 10% or more and for CMHC's portfolio insurance and multi-unit insurance products remain unchanged. The changes do not apply to mortgages currently insured by CMHC. "CMHC completed a detailed review of its mortgage loan insurance premiums and examined the performance of the various sub-segments of its portfolio," said Steven Mennill, Senior Vice-President, Insurance. "The premium increase for homebuyers with less than a 10% down payment reflects CMHC's target capital requirements which were increased in mid-2014." CMHC contributes to the stability of Canada's housing finance system, including housing markets, by providing qualified Canadians in all parts of the country with access to a range of housing finance options in both good and bad economic times." "REGINA — Crescent Point Energy Corp. is staying the course in 2015, projecting increased oil and gas production and bucking the industry trend toward major cuts in production and staffing in response to low oil prices. Canada’s fourth-largest independent oil and gas company and the country’s top driller — based on exploratory and development metres drilled in 2014 — plans on spending more than two-thirds of its $1.45-billion capital budget in Saskatchewan this year, the company announced Wednesday. The Calgary-based company credits its hedging program, which will see more than half of its 2015 production and one third of 2016 production locked in at higher prices, and cost reductions of up to 20 per cent, for being able to implement its 2015 business strategy." Canadian Housing: "There have clearly been corrections in progress"
"Canadian house prices may be up for the second month in a row, but a key report warns that “there have clearly been corrections” in some markets. The index showed losses of 0.1 per cent in Toronto and Quebec City, 0.3 per cent in Calgary and Montreal, 0.6 per cent in Halifax, 0.8 per cent in Edmonton, 1 per cent in Winnipeg and 2.1 per cent in the Ottawa regions. “In some markets there have clearly been corrections in progress,” said senior economist Marc Pinsonneault of National Bank." "A few years ago, I published a study on Rate shopping sites. These sites were gaining popularity with consumers as a place to go if you wanted to get the best rates. And they attracted a lot of attention. Sounds great, right? Yet, it’s not." "Many Saskatchewan businesses have a chance to expand their opportunities by exporting to new markets; they just don't know how to do it. "The U.S. will always be our No. 1 trading partner, but the growth opportunities are beyond North America," said Ed Fast, Minister of International Trade. Fast, who was in Saskatoon recently and is currently leading a five-day trade mission to South Korea, said there is lack of awareness among small and mediumsized businesses of the tools that federal and other levels of government can provide to help them succeed in exporting." "The Standing Policy Committee on Finance today received a report reaffirming the City’s AAA/Stable Outlook credit rating. The report also includes some key factors international bond rating agency Standard & Poor’s (S & P) applies to award such a rating. The Administration addressed questions from the committee about whether S & P had cautioned the City in its rating report. “We have a triple-A rating with a stable outlook which is a fantastic achievement and consistent with our past ratings,” Tarasoff says. The report outlines S & P’s Ratings Score Snapshot in which the bond raters say Saskatoon has a very strong economy, very strong budgetary flexibility, strong budgetary performance, strong financial management, “exceptional” liquidity with a debt burden rating of “very low.”"
© The Mortgage Associates Est License# 316246.